The Kiss That Missed was recommended by Sky so I knew it was a no-brainer that we had to add this one. It's a story about a king who was in too much of a hurry to give his son a goodnight kiss so he blew him one that went right out of the window! 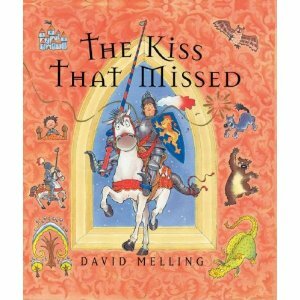 The king sends a knight on a chase to catch the kiss and, of course, it is captured and brought back. Happily ever after type of ending with the family all spending time with one another. There's an obvious moral to this story which is extremely non-applicable in this household. (Daddy does bedtime routine, along with a million other routines. No missed kisses here.) That said, the story is still cute and I like the illustrations by David Melling. Janet from Across the Page recommended The Knight and the Dragon by Tomie DePaola. I was surprised to discover that this is more along the lines of a wordless picture book (which I'm normally not a fan of) but this one works for us! It's had several requested re-"reads" so I figure we're all good. 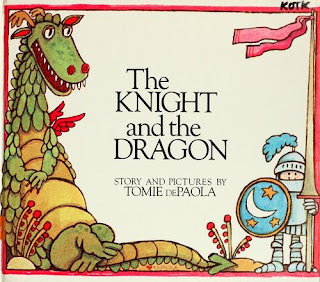 This book depicts the story (in very few words) of a knight who had never fought a dragon and a dragon who had never fought a knight. Finding themselves deficient in such matters, they prepare for battle and eventually discover that they aren't very good at fighting. Another obvious moral to the story which flies right over my kids' head and I let it go for now. If they start pretending that one of them is a knight and one is a dragon, we may make the lesson more obvious. Thanks, ladies, for the tips on those books! "In James's time, there was a book about good manners written especially for pages. It was called The Babees' Book. By reading it, James learned how to be polite and considerate: "Do not claw at your flesh or lean against a post in the presence of your lord"; "Whether you spit near or far, hold your hand before your mouth to hide it"; and "Keep from picking your nose, your teeth, or your nails at mealtime." We were both amused by this and other things mentioned in The Making of a Knight. I looked up The Babees' Book online (linked) and it's actually interesting reading. Could stand to be re-read in this modern age! I think we'll be coming back to that resource in the future when we're a bit older! 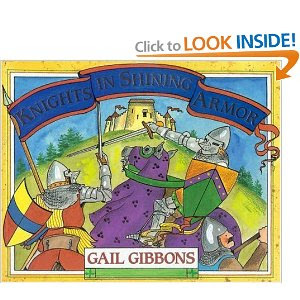 I found Knights in Shining Armor , by Gail Gibbons at our local used book store and snatched it up on sight. 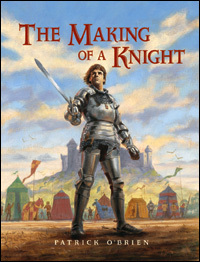 This book offers a box of text on each page with information regarding the process of becoming a knight as well as offering various tidbits about what knights did/cared about/etc., etc., etc. It talks about their weapons, the importance of a knight's horse, legends, dragons and chivalry. If you are familiar at all with any of Gibbons' other works, you'll know what to expect as this follows suit. A handy little informative picture book to have around, to be sure. If You Lived In The Days Of The Knights is another I picked up used, as it is currently out-of-print. 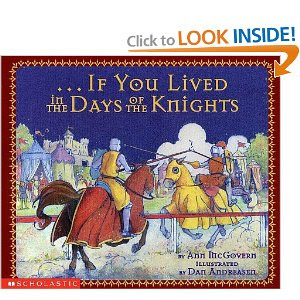 Scholastic has a whole series of "If you lived..." books and when I saw this one I naturally made a fast grab for it. (I love this series of books.) As it is heavy on text with smaller illustrations, we're going to space this read out over a period of days. I think it's probably meant for an 8-10 year old but if we go bit by bit we can likely get it down and even come to understand what life was like during the Medieval Ages. It covers things such as clothes of the time, furniture, education, how books were made, transportation and a host of other things. Definitely a keeper of a book! I'm very thankful to have found it. 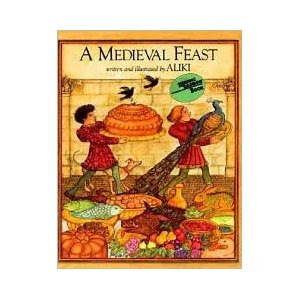 Similarly (but not), there is A Medieval Feast , by Aliki, which focuses on, um, a medieval feast. This book talks about the preparation and work that went on to put food on the king's dining table in the Great Hall. Typical Aliki in style and presentation. Another great resource, especially for pre-schoolers and early grades. 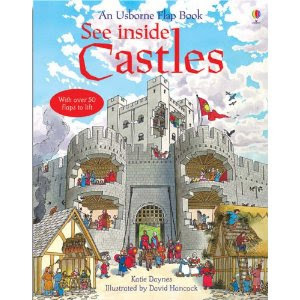 See Inside Castles is an Usborne Flap Book which I reviewed over at 5 Minutes for Books some time ago. I just pulled it back off the shelf for us to delve into again! 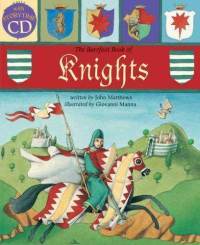 The Barefoot Book of Knights is another I reviewed in the past that I pulled down to finally and actually use with my son! Looking forward to exploring knight tales from around the world over the course of the fall. Lastly, just for grins, we picked this book up specifically for Bookworm2, age 2 1/2. We picked up another couple of titles but to spare you a longer post, I'll stop there. It's been fun to seek out picture books that accompany the lessons we're currently learning as we "school" ourselves this particular season. I like learning alongside my boys as we explore the past and foster our imaginations in the present, while learning lessons which we can apply to our future. It's been a wonderful thing and I'm glad for our time together - with books and play. Thanks for stopping by my blog today. I'm so glad I found Read-Aloud Thursday! 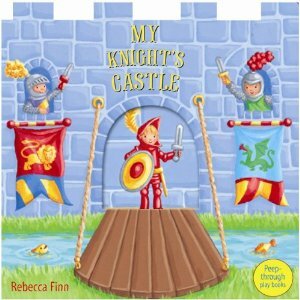 I never knew there were so many knight and castle books. We have The Knight and the Dragon, but all the others are new to me. You also mentioned dragons in your post. Have you heard of The Best Pet of All by David Larochelle and Hanako Wakiyama? It's about a little boy who wants a pet dragon. Super cute! The Making of a Knight sounds really good! Wish I'd had that when mine were young. Since we're studying the Middle Ages this year, I'll definitely be returning to this post! Thanks, Carrie! George and the Dragon by Chris Wormell (George is a mouse and it's got a funny twist and beautiful illustrations). Bub or the Very Best Thing by Natalie Babbitt (also more about a castle than knights but very very cute).